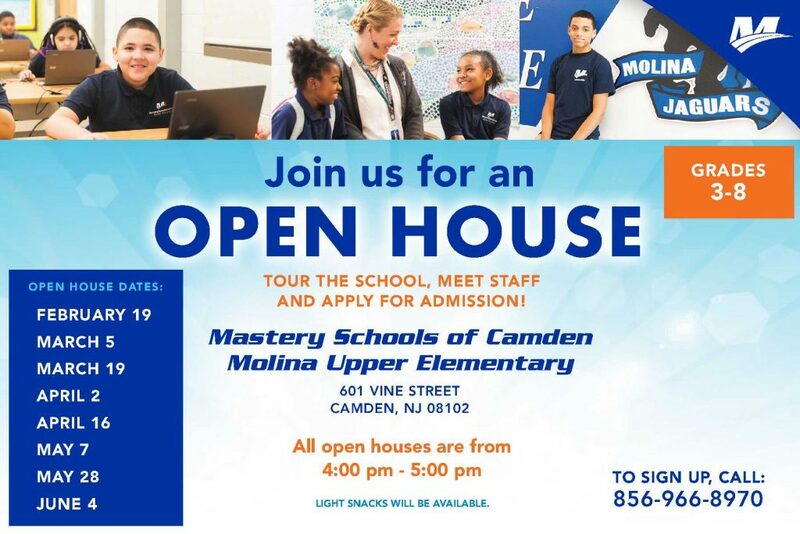 Molina Upper is a neighborhood elementary school serving over 400 students and their families in 3rd through 8th grade. It’s is a special place where your child will experience the joy of learning and rigorous academics in a safe, loving environment. 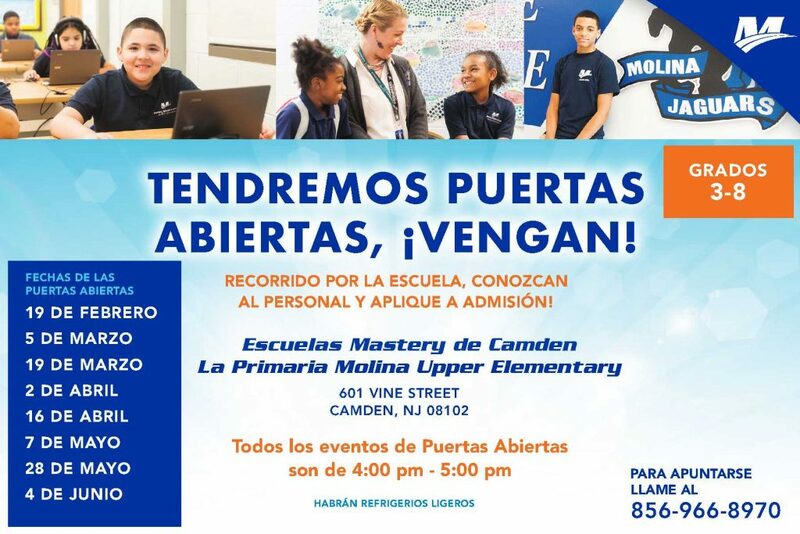 Students who attend Molina Upper Elementary have the opportunity to automatically attend Mastery High School of Camden, giving them a full K-12 Mastery experience. "I just love the communication between the parents and the teachers and the school."